Wire EDM is an advanced approach of machining which is developed from the concept of electrical discharge machining and primarily employed to remove material from difficult to machine materials. Also, this advanced machining process has been exclusively employed to produce intricate shapes on the electrically conductive work materials. Composite materials provide enhanced mechanical properties which depend upon the constituents. Graphene is identified as an excellent reinforcing element which supports to enhance the desired properties of aluminum metal matrix composites in a significant manner. In the present investigation, an experimental analysis has been performed on Wire electrical discharge machining (WEDM) of Al-GNP composites. Pulse-on-time, pulse-off-time, and servo voltage are deemed as input process variables. Material removal and surface roughness are deemed as the desired performance characteristics in this exploration. Taguchi’s design of experiment method has been employed for devising the experimental runs, and an L9 orthogonal array was adopted to conduct the experimental runs. The impact of process variables was analyzed by Taguchi’s single response analysis and ANOVA. Multiple regression analysis has been performed to develop an empirical relationship among the selected input and output characteristics. 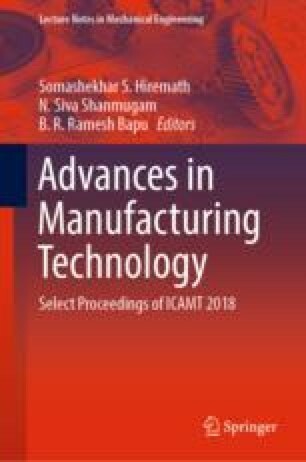 The best possible combination of process parameters was determined to attain improved machining performance.